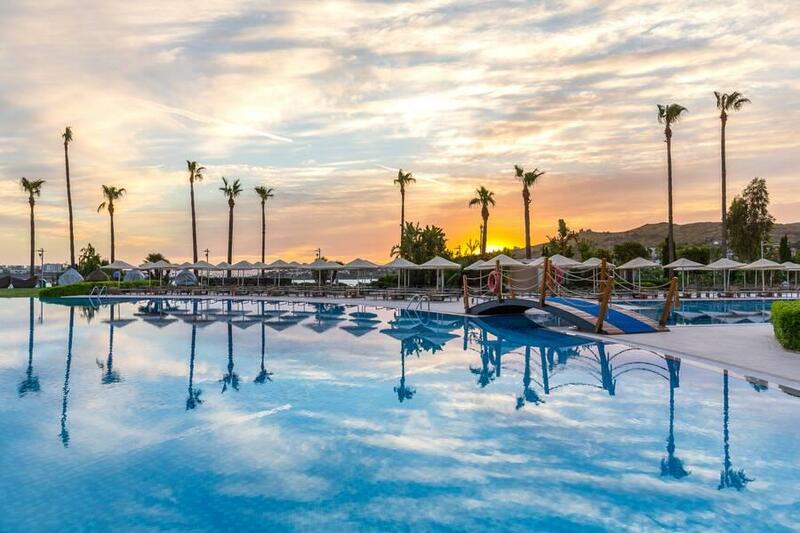 Family friendly, resort hotel with private beach and watersports as well as extensive leisure, dining and entertainment facilities for all ages. Kefaluka Resort Hotel is set in spacious grounds on the seafront and has its own private beach with 7 private pavillions, a children's section of beach with shallow water, a private pier and several outdoor pools including, the large main pool, a hydro-massage pool, a heated fun pool, aqua park and 2 children's pools. There are 7 restaurants with various dining terraces overlooking the Akyarlar Bay and the pool areas. These are, the Kefalonya main buffet restaurant; the Kebabi, serving kebabs and Aegean dishes; Luna Piena, is the Italian restaurant complete with wine cave; the Biberi specialising in Mexican cuisine; the Vento Fish restaurant; the Suanda Fusion, an elegant restaurant with international cuisine and, the ZuZu which is brightly decorated with a menu specially for kids. The hotel provides nightly shows in the theatre as well as discos and parties. There are a variety of bars including a pier/beach bar, a pool-side bar serving drinks, snacks and ice creams, a lounge lobby with bar and patisserie, vitamin bar in the SPA centre, a lounge bar, the Disco bar (open to 3am) and the Moonlight club (open to 1am) and the late night snack bar (23.00-7.00). The SPA and Wellness centre offers a wide array of services and therapies including massages, skin, body and beauty treatments. Facilities include 2 saunas, Turkish bath, steam room, Ice fountain, Jacuzzi, shock pool, adventure shower, relaxation area, 10 massage rooms, an indoor pool and a children's indoor pool. There is also a well equipped fitness centre. Sport and fitness activities facilities include floodlit tennis courts, squash, badminton, football, basketball, beach and water volleyball, table tennis, darts, bowling, archery, boccia, water polo, gymnastics, step, aerobics and mountain biking. There is also a games centre with bowling lanes, shooting gallery, electronic games, billiards and board games. The Kefaluka Resort has a full daytime and evening entertainment program as well as kids clubs for children aged 4-12 and 13-16. Other facilities include a business centre, a library, a cinema, a car park, conference and banquet halls. Hotel services include 24 hour reception, free Wifi and internet access, baby-sitting, laundry service (local charge) and currency exchange. 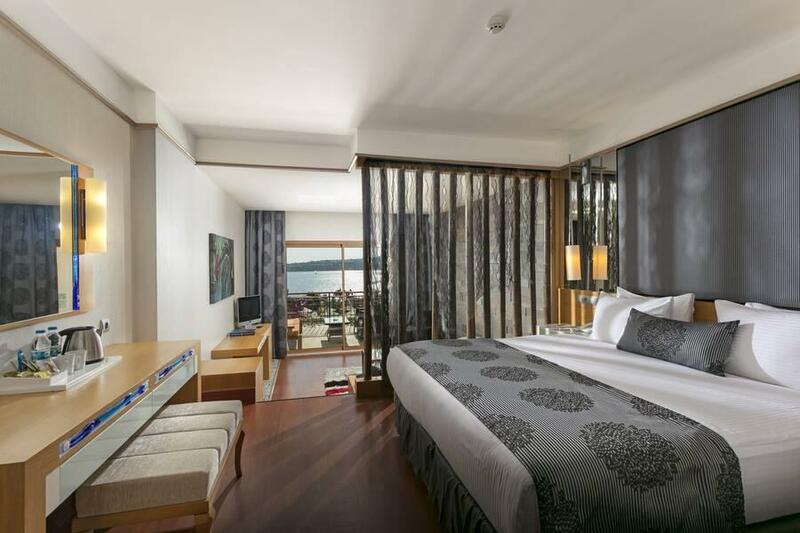 Accommodation at the Kefaluka Resort Hotel is modern with neutral decor and comprises 150 standard rooms, 120 family rooms, 12 deluxe rooms, 4 accessible rooms, 26 junior suites and 16 suites. All guest accommodation has a bedroom, en-suite bathroom with bath, individually controlled air conditioning and heating, satellite TV with radio, mini bar, telephone, hair dryer, in-room safe, laminate flooring and a balcony or terrace. Rooms and Junior suites sleep up to 2 adults and a child and Family rooms and Suites sleep up to 2 adults and 2 children. 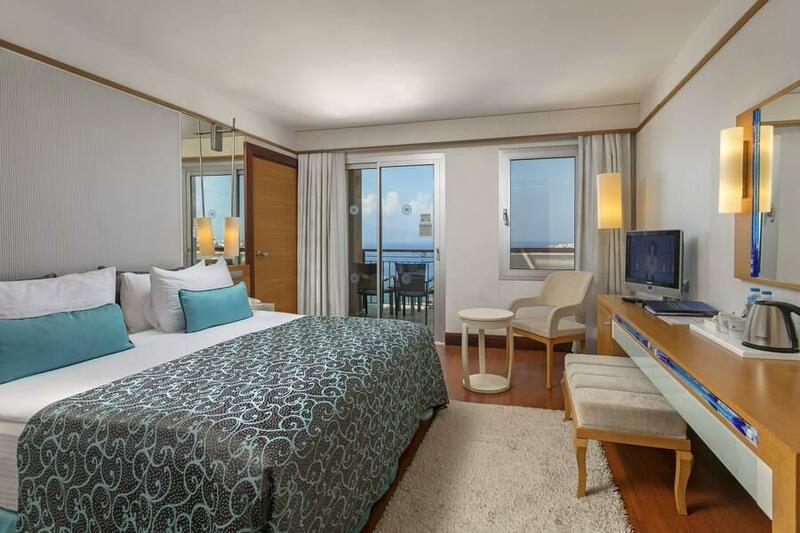 Accessible rooms and Junior suites also have a shower and Suites have a separate living area. 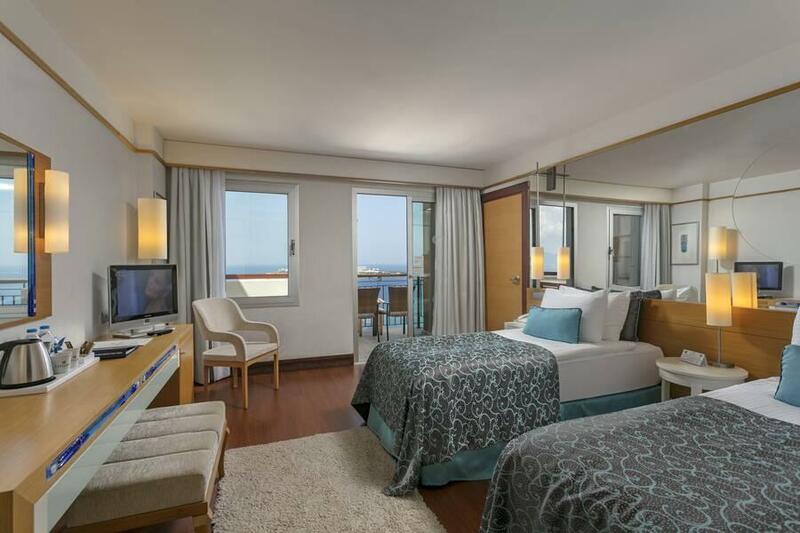 Cots and Connecting Rooms are also available. 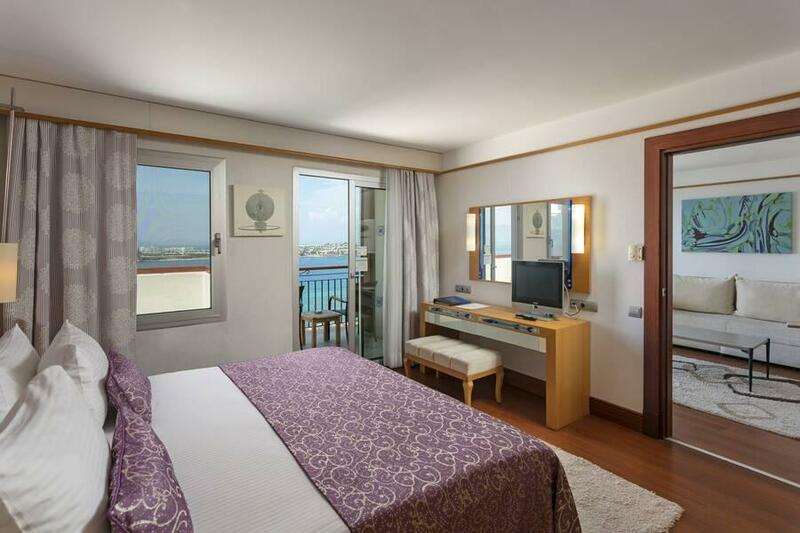 Guests can enjoy all A La Carte restaurants provided they make one reservation for each during their stay. The A La Carte restaurants may also be closed specific days of the week or their service status may change due to weather conditions as they are outdoor. Additional charges apply for in-room internet access, telephone calls, film channels, laundry service, room service, fresh fruit juice (except at breakfast), premium wines and drinks, small supplement for a'la carte restaurants, motorised watersports, floodlighting for tennis court or football ground, bowling, electronic games, shooting range, massages and treatments, hair-salon, medical assistance, car rental, babysitting and shop purchases. 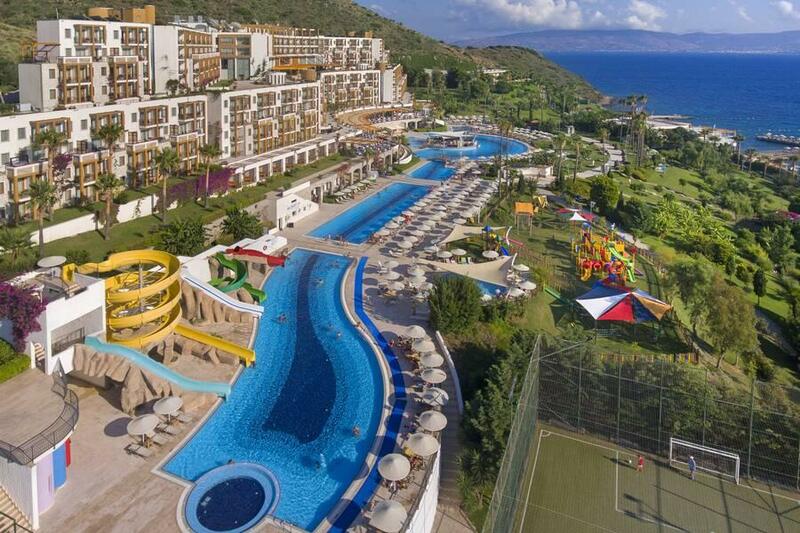 Kefaluka Resort Hotel is located on the seafront close to Akyarlar Bay and approx. 10km from the centre of Turgutreis and 25km to Bodrum. A ferry to Kos takes approx. 30 minutes. Turgutreis is approx. 55km from Bodrum Airport. We have stayed at Kefaluka 4 times, it's outstanding apart from this year the food was nowhere near as good as other years, else it would have been 5 * as usual which is a shame. Sorry to say the food is not as good as last year. The hotel and service was very good. Very clean, staff very good and hard-working. Food plentiful and good. 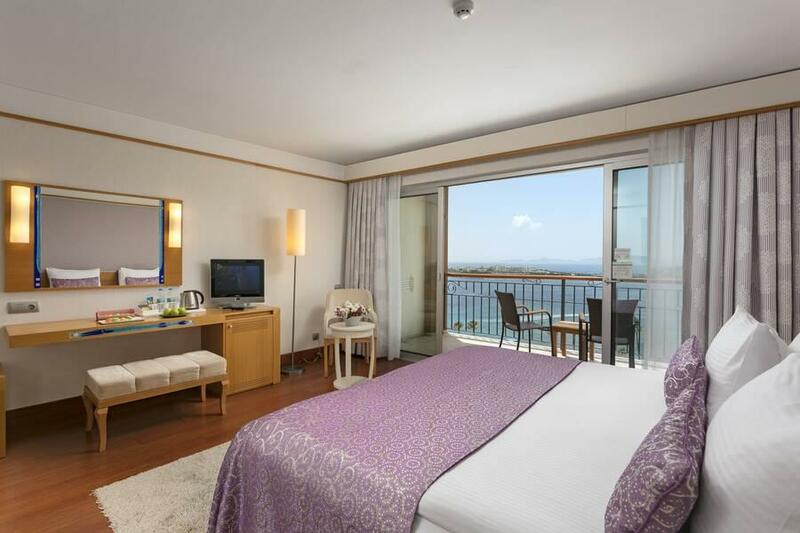 Location outstanding with beautiful views across bay to Kos. Room was spacious and bed very comfortable. Fantastic hotel for an all-inclusive holiday. Drinks were plentiful, food was very good, entertainment team was excellent. The location and view from the hotel are stunning. Lovely resort in a beautiful setting. Amazing staff would recommend to anyone. Rooms clean and spacious, pools lovely, staff friendly, helpful and professional, great range of food each day, location is beautiful, animation team/entertainment is absolutely fantastic for adults and children. Couldn't rate it highly enough. Definitely be going back. Lovely beach, grounds and views. 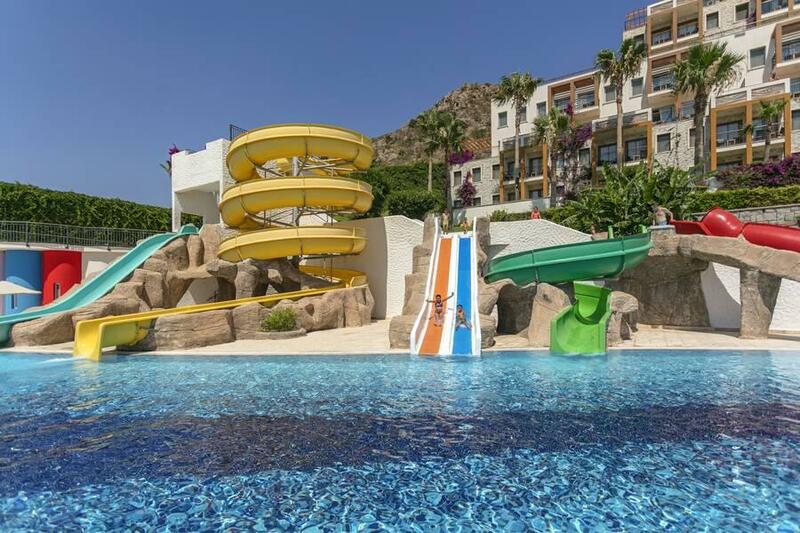 Pool, water slides are great fun, everything well maintained. Excursions available. Spa is amazing and highly recommend the massage. Great food and friendly staff, especially the waiters. Hotel in a stunning setting. Staff very friendly, helpful and polite. Rooms are on the small side ( family room for 4) and lack of storage but it is for sleeping in after all so it wouldn't stop me going back. Toiletries provided in bathroom, pool towels too. We had stunning weather. The hotel was not full by any means which is a shame for the hotel but great for us as it was busy enough. Food was good quality, a good selection but it was a bit repetitive. Had lunch several times in the pizza place overlooking the sea. Sea was lovely and warm, with a lovely light breeze. We went with family , our children had a great time and loved the freedom - lots of ice creams and warm waffles everyday! We are thinking of returning next year. The only down side is the night entertainment doesn't start until 10pm which is a bit late for children, the animation team were a lot of fun but not pushy. A fabulous place!! The hotel was in lovely spot/setting & the animation team made this holiday one to remember. The evening shows were incredible at the open air theatre especially the fire show! The only reason I haven't given this hotel a 5 star rating is that the a la carte restaurants were the same food as the main buffet restaurant and there was a supplement for this - and the main buffet food was very repetitive! Plus the swimming pool was too cold to go in and it was a very windy resort. Apparently it's like it no matter what month you go! We found out that Kefaluka actually means windy corner! Other than that lovely hotel/location. Great service, great food and nice hotel all round. I have stayed at 5* hotels around the world and I would say this hotel is a good 4* - definitely not a 5*. The room was the biggest let down. We were a family of 5 (2 adults and 3 young children) and we paid around £350 per night for the hotel. We expected more in terms of the standard of the room. Felt very squashed in there. Must also say the animation team at the hotel was excellent. Especially Ismail. Absolute first class. Really enjoyed everything about this hotel. I am a fussy so and so when it comes to rating a holiday but really could not find fault with this hotel and its service. If I were to be really picky, perhaps the rooms could do with a face lift but apart from that there were no issues whatsoever. Although rated a 5 star hotel there are a few little touches missing. In the rooms there are no tea and coffee making facilities, no tissues in the bathrooms. Beds are very hard, but the maids will put mattress toppers on for you, and the rooms are kept very clean. There is a mini bar in the room as well as a safe, all free of charge. At breakfast only rarely are drinks offered at your table, mainly self service. Weekly menu in the main buffet restaurant, with Turkish night on a Wednesday and fish night on Friday. The food overall is of good standard but as always with buffet food it could be hotter. There are 4 a la carte restaurants which can be booked for a 10 euro charge per head. There are numerous places for lunch and snacks. Ice cream is served at the pattisserie from 12 noon until 6 pm and waffles from 4 pm. You will not go hungry at this resort. The hotel offers excellent service from the staff, they cannot do enough to make your stay pleasurable, which more than makes up for the small niggles. Large pool area, with animation at one end so the other end is quieter. The animation team are very friendly and will always stop and have a chat, but will not insist that you join in, that is your choice. Plenty of sunbeds and pool towels are provided via a card system. Views from the hotel are beautiful, and the hotel is built into the hillside to take advantage of this. It is quite steep if you want to go down to the beach. All in all very good value for money. There is a large mix of nationalities at this hotel, and overall everyone is very friendly. Clean, good sized rooms, great pools and water slides. Animation team very good. Beautiful hotel in a great 'away from it all' setting - majority of rooms have beautiful sea/bay views. Spotlessly clean. Food - a beautiful selection every meal time plus a la carte restaurants if you don't want to use the buffet. Drinks very plentiful. Staff helpful (though standards of waiters vary greatly). Beautiful pool area, beach area and jetty area all with plenty of sunbeds and fresh clean towels. Fun to take the local Dolmus bus into Turgutries - a 15 minute ride into real turkey with harbour, shopping markets etc.